And so begins one of the most legendary sequels of all time. Unfortunately, due to the copyright hell of law firms buying up expired contracts from defunct gaming companies, just getting a copy of this game is more than half the battle in getting it running in Windows 7. To those of you who were fortunate enough to buy a copy back in the day (or those willing to shell out beaucoup dollars for it later), these tips and tricks should not only help you enjoy your investment for years to come, but experience it in a new light. Choose the FULL install, as we’ll eventually be running this program without the CD (wouldn’t want to damage it J). Don’t install DirectX or register the game. The version of DirectX you have is far better, and no one’s at home to take your registration anymore L. For now hit quit on the front screen (I promise you’ll be playing soon enough)! Step Two – Download SS2Tool_v3.6: Fortunately, in the 13 years since this game was first released, a dedicated community of fans has worked on a number of tools that fix bugs, and help System Shock live on modern systems and resolutions. This patch also prepares Shock for the mods we’ll be installing to bring the game up to 2003-2004 quality! You can download this patch from here. 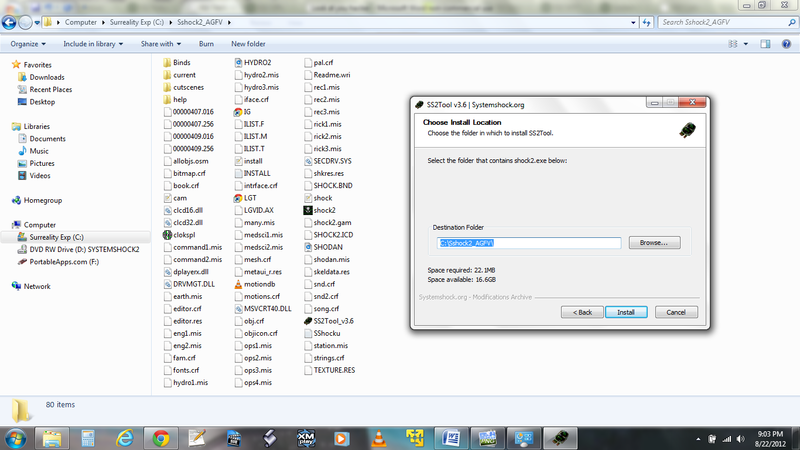 Step Three – Install the SS2Tool: Copy the tool into your game directory and double-click to launch it. The default component options should be fine, though you can always uncheck undesired capabilities. 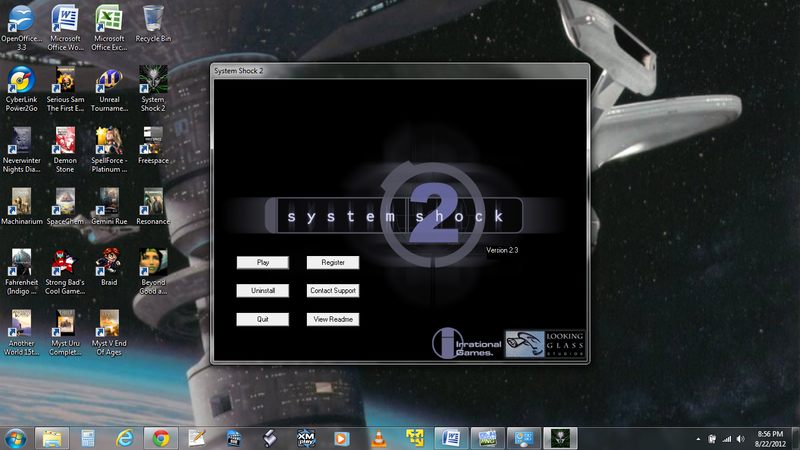 If you copied the tool into your System Shock directory, it should recognize the correct location of “shock2.exe”. If this location is correct click “Install”. You’re going to see a lot of quick pop-ups. DO NOT BE ALARMED. 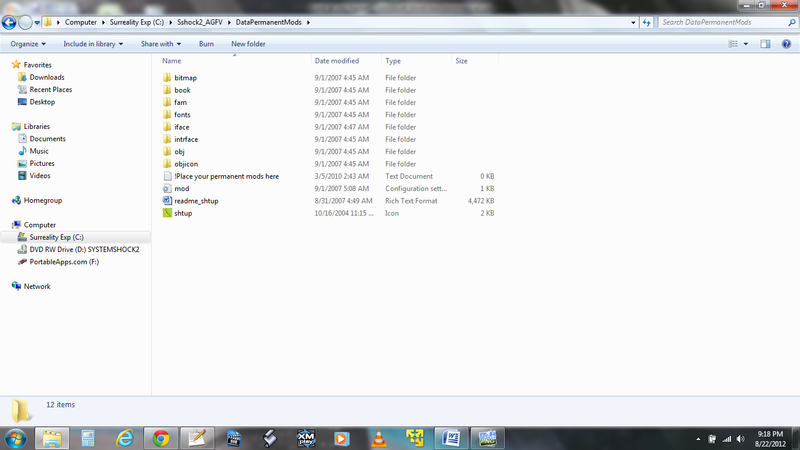 Most of these are scripts to move files into the modded configuration. You may get an access error on some files including the EXE. Retrying seems to get past this problem. When installation is complete your folder structure will have significantly changed. Step Four – Check your resolution: The cam.cfg file contains resolution properties of the game. These should have copied correctly, but if not you can change them by adjusting the “game_screen_size” line. Width is first, then height. 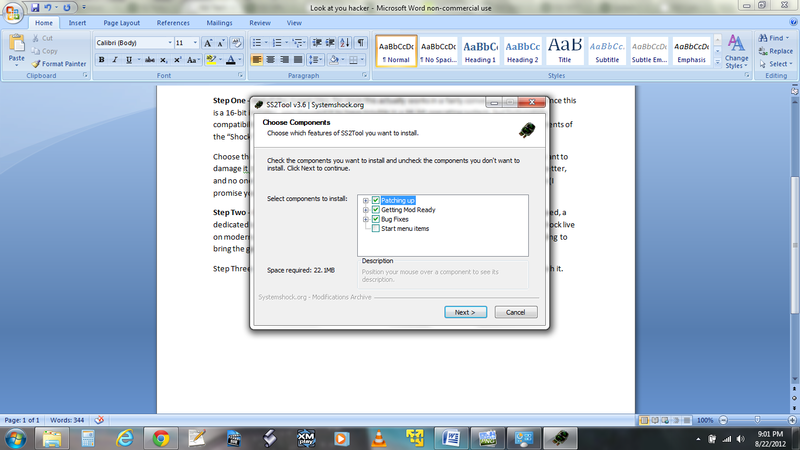 Step Five – Set compatibility mode to XP for “shock.exe” and check “Run as Administrator”: Right click at choose “PropertiesàCompatibility”. At this point the game is playable in all its 1999 glory, but there are some things we can do to further enhance its appearance. When you play the game for the first time it may take a while to load (don’t be alarmed!). Upgrade your character models: SS2_rebirth_v02, or System Shock Rebirth, upgrades the character models with smoother curves, and modified character designs. Some of the designs suffer a bit from typical male tendencies (over accentuated proportions), but on the whole this model is true to the original. Of particular quality are the horrified expressions on the model’s faces *shiver*. You can download this mod from here, and install in the same fashion as SHTUP, copying the zip file to “DataPermanentModes” and extracting the contents. Upgrade your music: The sound and music are pretty high-quality in the original, but you can always have higher fidelity. Download SHMUP from here, and install like the other mods. If you just want to download the soundtrack for your non-gaming listening pleasure, try this link. These three are the mods I have installed on my current game. All three are compatible with each other. 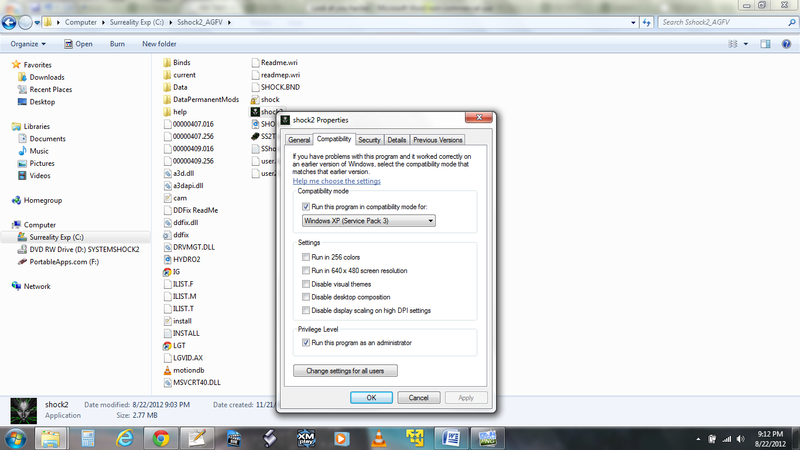 Not all mods will be cross compatible so be sure to check and save backups of desired configurations. You can download these and other mods from here. However this guide contains factual errors. Installing the game using the game’s installer doesn’t work on Vista/7 and setting compatibility settings on shock2.exe will break the game on many systems, while it’s unnecessary for the rest. Try to read on a bit on the site where you downloaded the SS2Tool and other assets. Installing with the installer worked for me (twice, one with actual disk and the other with an image mounted) (Win 7 64 bit), but it’s not strictly necessary as I noted. Compatibility was necessary for getting the videos to work on my system, but was unnecessary for gameplay. I’m working with a Toshiba and an Intel Integrated graphics card, so if anything I probably have a crappier and less compatible system than most 🙂 You’re right that those guides provide a full scope of bug support and different configurations (obviously more than I can test with my laptop 🙂 ). Still, people who are interested should find everything they need, or at least head in the right direction. Thanks for your input and interest.